Hats Off to the Hastings Hattery! In Vancouver, the revitalization of Hastings Street has been an ongoing and oftentimes arduous process, but with the addition of The Hastings Hattery, past and the present are meeting at a beautiful architectural crossroads. The Flack Block was built in 1898 and underwent an intensive two-year renovation before re-opening in 2008. The interiors of the Hastings Hattery are exposed brick and warm woods and filled to the proverbial brim with head coverings of all shapes, sizes and colours for women and men. Owner Rachelle Cashato grew up on the East Coast and moved toVancouver in 2005. She believes that fashion should be beautiful, empowering, and ethical. She is passionate about working with many local designers and fellow business owners to bring back the classic retail experience where service is king andthe products are specialty. This new space will be providing full service restoration, custom work, and quality Canadian brands in a neighbourhood built on the backs of Canadian production. With authentic age old hatting equipment and new custom made brands, work benches, hat blocks, and boxes. The promise of great party on opening night, led me to the decision to upcycle some headgear for myself and Alison, one of our summer interns at Kitsilano Kitty’s Closet. I started with two vintage wool berets (generously donated by the vivacious Vancouver socialite Randi Winter) that matched our respective skintones, a $20 bag of costume and junk jewellery from the local thrift store, my trusty sewing kit and a folding table. An impromptu work station was set-up and with Neko Case singing like an angel in the background, I started breaking down the jewellery. The emerald green beret for Alison was to be dramatic to match her fashion flair, while my cream one would be much simpler as I have much more of a ‘black on black’ wardrobe. 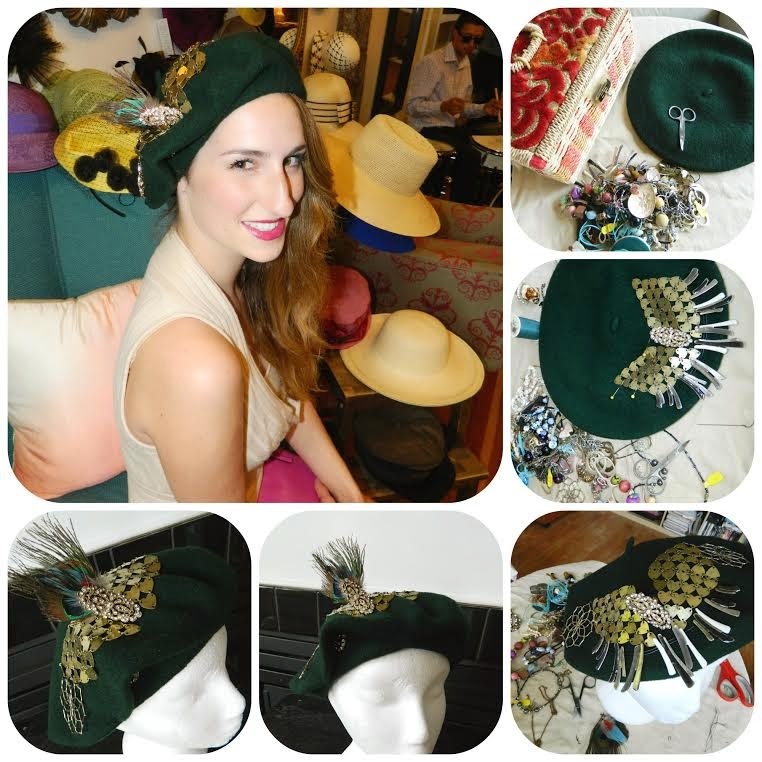 With three pairs of earrings, a long sparkling bling ring, some peacock feathers, a spool of strong thread, the fair-skinned Alison had a Celtic inspired upcycled beret that complemented her outfit of a ribbed Catherine Malandrino cashmere cowl neck dress, taupe sandals and a bright clutch. Alison and I moved from one carefully crafted display to the next unable to decide which was our favourite! Each tableau was greeted with an ‘OMG’ and a ‘here hold my drink!’ squeal as she tried one after another on. Methinks my intern has a bit of a headwear fixation! Before we found her crowning glory, she even scouted the men’s’ hats for a perfect straw bowler. The Aha Moment came as she lifted a wide brimmed straw hat adorned with black netting and silk flowers off the rest. A $368 creation by Toronto designer Lilliput that made her eyes sparkle with a certain kind of madness! Prices of the Hastings Hattery local will run your card anywhere between $48 and $1400 depending on what it is you are looking for. 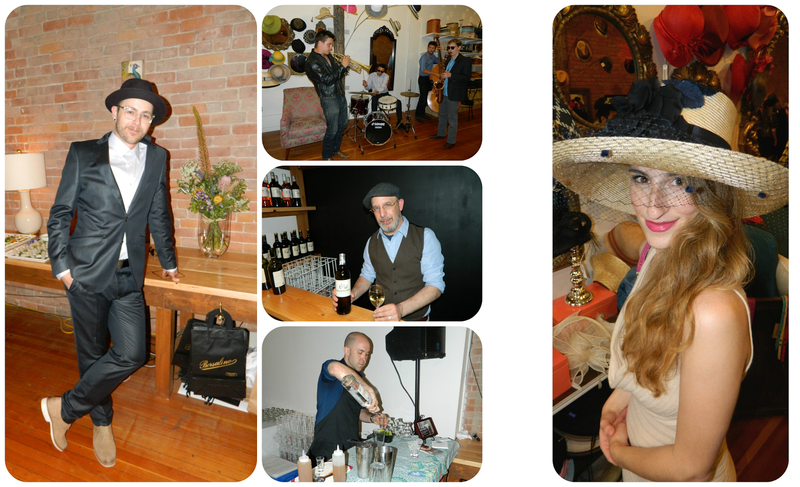 Definitely something for everyone whether it is local made, Canadian sourced or brought in from legendary names such as Borsalino and Stetson. 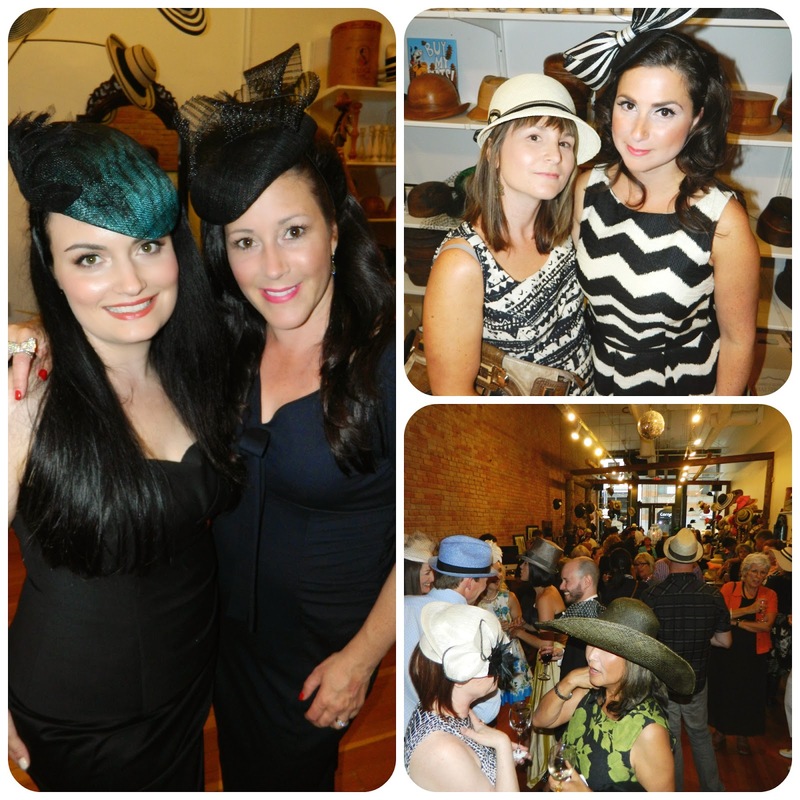 Alongside the stylish staff was a bevy of hat fans, well-wishers, friends and family. The gorgeous new hattery was filled to the rafters with the boisterous jazzy sounds and throaty vocals of East Van’s ‘The Carlo Rossi Gang’. Canapes were aplenty with vegetarian and vegan treats provided by Savoury City Catering and tasty beverages were poured by Marc and Andrew of Liberty Wine / Liberty Distillery Granville Island. Rachelle’s goal is to encourage clients to add the final touch to a favourite look with a great hat. She firmly believes a hat can add depth to a look and confidence to the wearer and is definitely willing to put her money where her mouth with this ambitious new undertaking. Shop for hats online at www.HastingsHattery.com or in person at the Hastings Hattery located at 157 West Hastings Street in Vancouver, BC. Guest blogger Helen Siwak is all about food, fashion and furry friends. 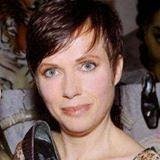 She is the president and co-founder of eco-friendly local luxury fashion re-seller KitsilanoKittysCloset.com (offering shoppers classic designers like Armani, Versace, Dior to modern trendsetters such as Jeremy Scott, Kate Spade and Stella McCartney) and a plant-based healthy food advocate with VitVitVegan.com food service. She and her partner Vlassis have three rescue pets, four interns, a fridge full of veggies and a shiny motorcycle. Life is good.